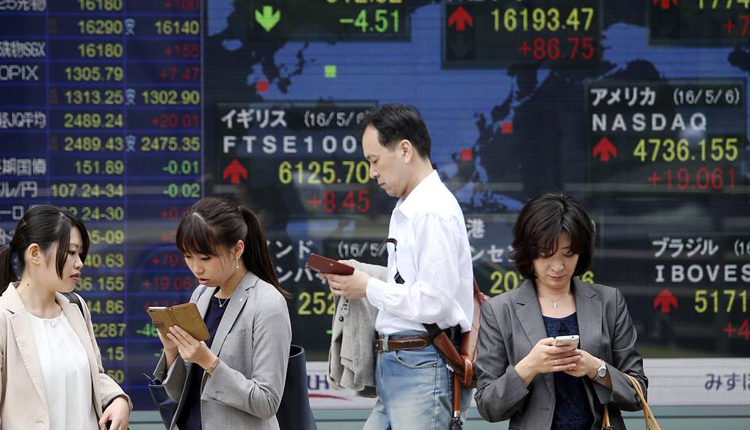 Asian stocks closed little changed on Friday following a roller-coaster session that sent shares oscillating between positive and negative territory as investors grappled with the consequences of a more dovish U.S. Federal Reserve. Hong Kong’s Hang Seng index closed about 0.14 percent higher at 29,113.36, with shares of Chinese tech giant Tencent rising 0.55 percent despite the company reporting its slowest annual profit growth in 13 years. Japan’s Nikkei 225 closed slightly higher at 21,627.34, as shares of index heavyweights Softbank Group and Fanuc jumped 2.73 percent and 1.40 percent, respectively. The Topix index ended its trading day higher by 0.17 percent at 1,617.11. The moves in Tokyo came after government data showed Japan’s annual core consumer inflation slowed in February, leaving its central bank in a bind. “It certainly feels like markets will need a few more days and sessions to interpret the recent change in Fed positioning and to absorb the further developments with regard to trade and geo-political factors,” analysts at Rakuten Securities Australia said in a note. “Markets have continued to digest the implications of a dovish Fed that looks set to leave the Fed Funds rate unchanged this year and potentially next. Tech shares have led the gains in equities, although financials have continued to struggle,” Rodrigo Catril, a senior foreign exchange strategist at National Australia Bank, said in a morning note.